If only our pets could talk. However, because they can’t tell us how they feel and some are masters at hiding pain, a complete and thorough history and physical examination is a very important part of your pet’s complete healthcare or wellness program. We recommend a complete “nose-to-tail” physical examination at least once a year. A routine examination gives us the opportunity to identify potential medical issues before they develop into a more serious health concern. Once a baseline is established, we can monitor your pet’s health and make note of any changes while they age. During a routine wellness visit, you will have the opportunity to ask any important questions you may have about your pet’s health, habits and daily care. 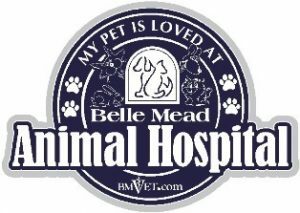 Every pet is unique, and we will individualize our recommendations with regard to the breed, age, health and lifestyle of your pet as well as any health concerns you may have. We will also offer that latest information regarding the care of your particular pet and offer up-to-date advice on home healthcare needs. Heart health assessment – We listen to your pet’s heart through a stethoscope in order to detect early signs of cardiac disease such as heart murmurs and abnormal heart beat patterns known as arrhythmias. Early detection can help us identify and treating the underlying condition before it becomes a more serious health threat. Even indoor cats that never go outside are genetically prone to heart disease at any age. Unfortunately, cats may show no symptoms for years until they suddenly collapse or are in distress. If nothing else have your cat’s heart checked at least once a year, no matter what their age. Lung health assessment – Health issues such as infections, obstructive diseases and other problems can be detected by listening to your pet’s lungs through a stethoscope. The doctor can also assess the overall pulmonary health of your pet. Did you know that asthma is a common condition in young cats? They might not show symptoms until it becomes an emergency. Teeth and oral cavity check – Dental disease is one of the most common health concerns in pets. We examine your pet’s teeth and mouth in order to identify any issues early before they require emergency dental care. Very young animals, such as kittens and puppies, also need to be checked to ensure they are developing an appropriate bite and that they are losing their baby teeth at the right time. We also take the time to discuss proper home dental care with you. Vision exam – Ocular conditions can also be prevented through regular care and screenings. All diseases, including those with the eyes, follow relatively predictable processes and can be more easily treated if detected early. 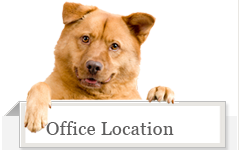 Ear exam – Ear disease is relatively common in many types of pets. Issues such as low-grade allergies, swimming or bathing, reactions to certain foods, as well as mites and other parasites can all cause and contribute to otitis or ear disease. Though you may feel this is an area that can be easily handled at home, the fact is that many ear diseases are difficult to detect and require medical treatment beyond home health care. Lab work – A complete physical includes a heartworm test, parasite screening, and should include a full blood workup. Not only can a full chemistry panel and complete blood count identify the presence of underlying disease processes, but these tests help create a baseline should your pet become ill between routine examinations. Additionally, blood work is necessary if your veterinarian recommends a dental cleaning, removal of skin masses, or any other procedure that requires anesthesia.